As soon as the temperature starts to drop, we love to welcome the seasonal change with some hot chocolate and marshmallows. Recently, as we were pouring our marshmallows into our cups, it turned into an impromptu counting game. My preschooler insisted that she wanted the most, so we compared the numbers in each cup to make sure that she had the largest amount. 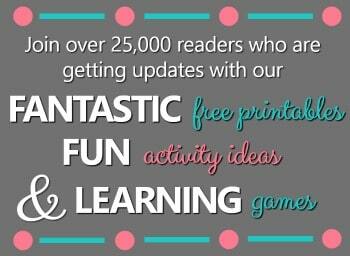 Whenever a favorite tasty treat can take on different forms of fun and learning, it’s a winning combination! 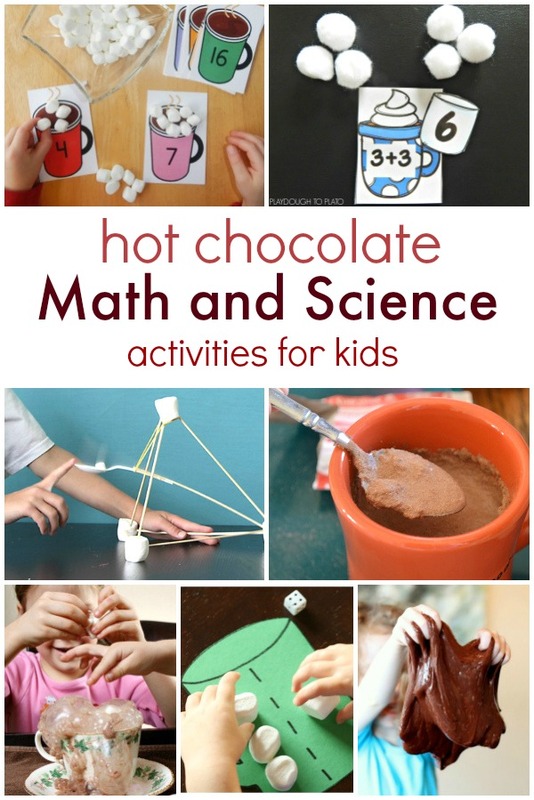 Here are some hot chocolate math and science activities that are sure to engage your little ones in some fun hands-on learning. Practice one-to-one correspondence with these free Hot Chocolate Counting Mats from The Measured Mom. 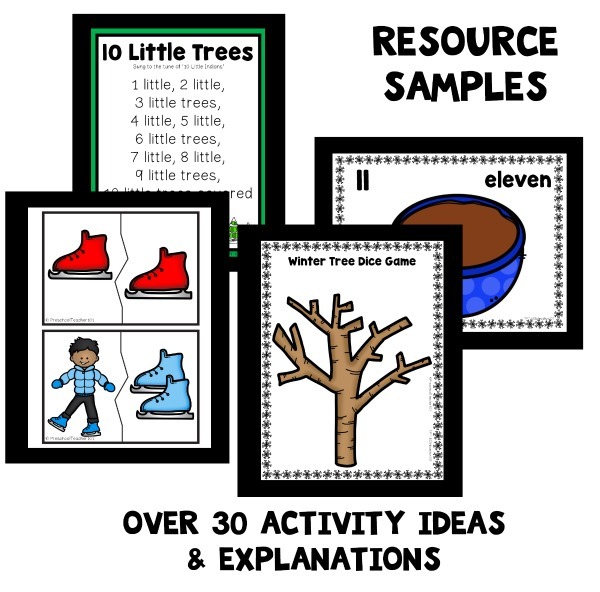 Print this free Hot Cocoa Addition game from Playdough to Plato which can easily be made hands-on by using white pom-poms or cotton balls as manipulatives. 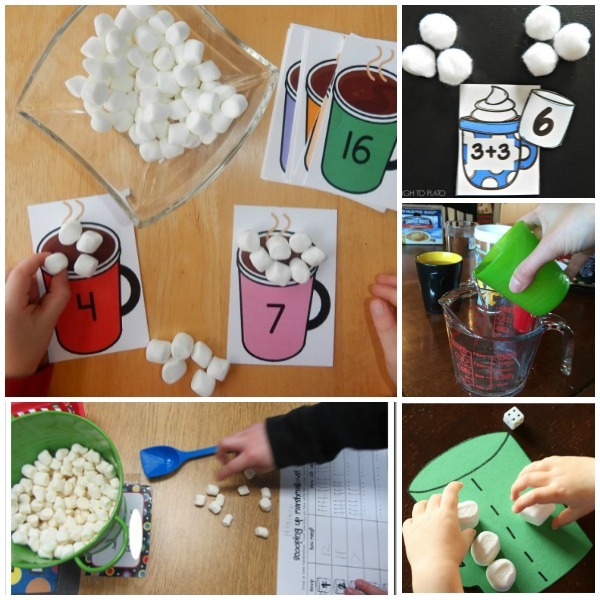 Investigate measurement, estimation, and volume with this hands-on Hot Chocolate Math Activity from Math Geek Mama. 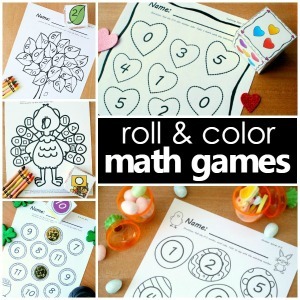 Grab some marshmallows and dice to practice Number Decomposing with this fun math game from Playdough to Plato. Practice making tally marks to collect data with this Marshmallow Math Game from Growing Kinders. This Hot Chocolate Science Activity will surprise your little ones as they see their cup of cocoa take life! Investigate how chocolate powder dissolves with this STEM Hot Chocolate Temperature Experiment from Creative Family Fun. Analyze how temperature affects the speed at which marshmallows melt with this Hot Cocoa Science Experiment from Science Sparks. 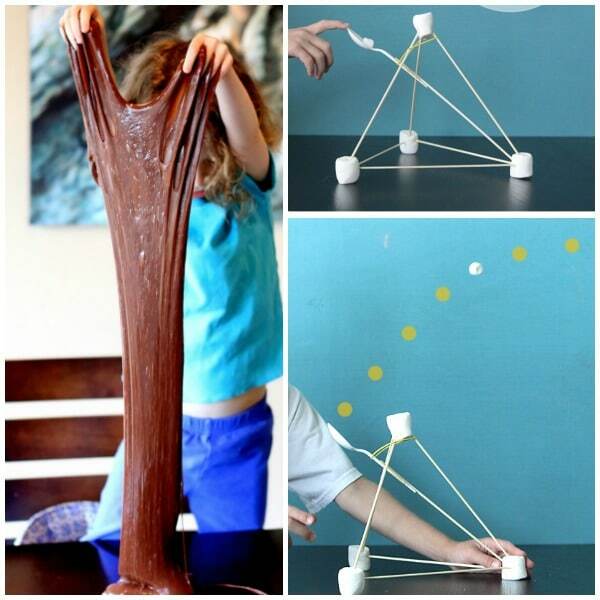 Kids will love to get their hands on this Chocolate Slime from Fun at Home with Kids. 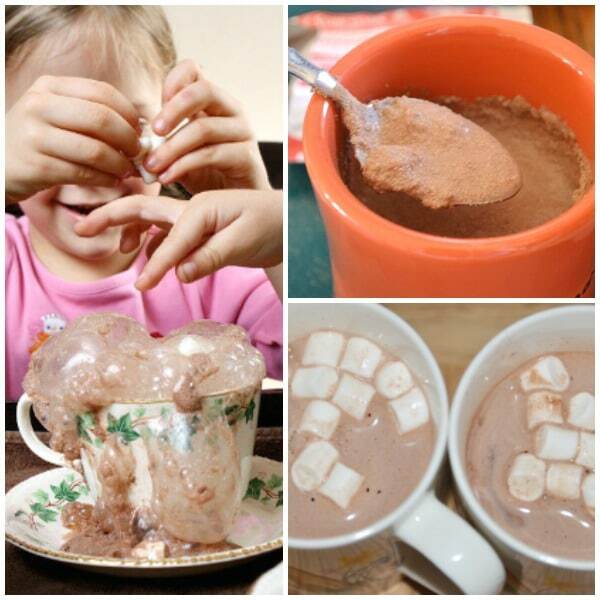 Add in a little twist and make your own hot chocolate slime, too. Use those leftover marshmallows to build a Marshmallow Catapult using this fun STEM activity from It’s Always Autumn. Don’t forget the hot chocolate! This set includes a wide variety of flavors that we love to use for our taste tests.